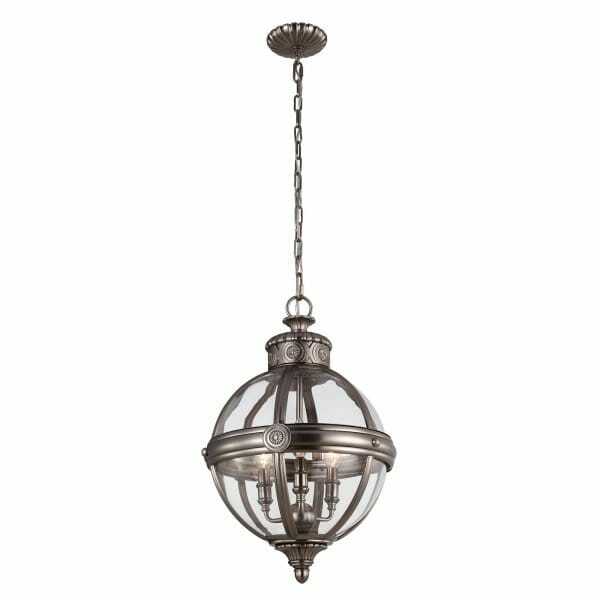 A decorative classic glass orb with Victorian age inspiration, the glass globe is surrounded by a decorative metal casing in an antique nickel finish and boasts a rosette detail similar to both the crown and ceiling canopy. This 3 light chandelier pendant would be ideal for lighting over tables or in long drop stairwells for period settings. The chain and cable can be shortened to suit lower ceilings. This can be switched by a standard switch or by dimmer switch. Other Features: Supplied with 1524mm of chain.